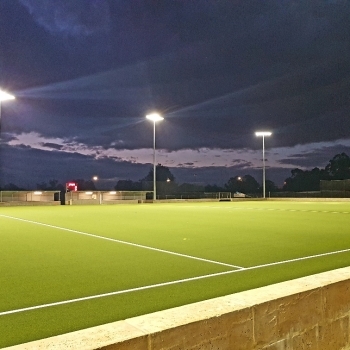 Porter Consulting Engineers were engaged in 2017 by the City of Gosnells to provide specialist consultancy services for a new hockey turf facility at Sutherlands Park on Gay Street in Southern River. Construction commenced in February with completion achieved in September 2018. Our involvement included development of concept plans for a synthetic turf, detailed design of the hockey pitch, footpaths, sewer and construction administration. The completed project delivers a field that will be in operation for the start of the Southern River Hockey Club 2019 season following certification by FIH in late 2018. The pitch was officially opened on 5 November 2018.